Source: H.S. Bender Photographs. HM4-083. Mennonite Church USA Archives - Goshen. Goshen, Indiana. Goshen College Biblical Seminary was the direct continuation of the Bible School, first organized in 1900 as a division of the Elkhart Institute, Elkhart, Indiana, at that time an academy. With the removal of the Institute to Goshen in 1903 and its reorganization first as a junior college, then as a senior college (1910), the Bible School continued to grow. However, until 1933 it actually served only as the Bible department of the college. From the beginning to 1933 the only special curriculum offered was a two-year Bible course leading to a diploma. In 1933 a four-year curriculum leading to the Th.B. (Bachelor of Theology) degree was added, with two years of required advanced Biblical and theological courses based upon two years of Liberal Arts. In 1942 this curriculum was expanded into a five-year course requiring three years of advanced Bible and theology. In 1946 the B.D. (Bachelor of Divinity) degree was added as a graduate degree requiring four years of Liberal Arts and three years of Bible and theology. In 1949 the B.R.E. degree was added as a four-year degree in Christian Education. In 1946 the name "Biblical Seminary" was instituted. In 1955 the Th.B. degree was discontinued and the Seminary program organized into Graduate (B.D.) and Undergraduate (B.R.E.) divisions. In 1944 the school was organized as a separate school within the college, with its own dean. 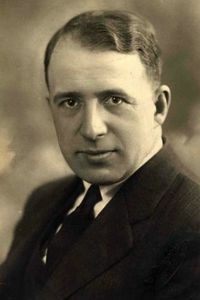 Harold S. Bender, who had served as dean of the college and the Bible School since 1931, served continuously as dean of the Seminary until his death in 1962. In 1953-54, 67 students were enrolled. The total number of degree graduates from 1934-1956 was 190, with a total of over 380 students matriculated, almost all members of the Mennonite Church (MC). The largest number of Seminary graduates entered the pastorate, although a considerable number entered the foreign and home mission fields, and served in church institutions as teachers, administrators, and writers. The faculty in 1954 consisted of nine fully theologically trained professors. These included, besides the dean, Paul Mininger, J. C. Wenger, John H. Mosemann, H. H. Charles, J. Laurence Burkholder, C. Norman Kraus, Paul M. Miller, and John W. Miller, some of whom were serving part-time in the college proper, in addition to four special lecturers. The Seminary sought to fulfill its special calling as a school of the Mennonite Church by appreciation and propagation of the historic heritage of faith and life of the church, by a primary devotion to its contemporary needs for able and faithful workers and sound scholars, and by throwing its aggressive support into a program whereby the church might more effectively serve the modern age and its needs. A more recent movement was one for an inter-Mennonite cooperative program in ministerial education, in which the Mennonite Biblical Seminary (General Conference Mennonite) and the Goshen College Biblical Seminary, with any other interested Mennonite seminaries or groups would participate in a project called the Associated Mennonite Biblical Seminaries. This called for the relocation of the campus of Mennonite Biblical Seminary at the south edge of Elkhart, Indiana, and the erection of a new plant there ready for occupancy by September 1958, as well as reorganization of the academic program. The two schools used a common campus in Elkhart, Indiana after 1969; they incorporated as one institution (Associated Mennonite Biblical Seminary) in 1993. This program offered courses leading to a variety of master's degrees, including the Master of Divinity (MDiv), the Master of Arts (MA) in Peace Studies, and the Master of Arts in Theological Studies. Courses included biblical, historical, theological, and ethical studies, as well as studies in missions and evangelism and various pastoral leadership ministries. Bender, Harold S. "Goshen Biblical Seminary (Goshen, Indiana, USA)." Global Anabaptist Mennonite Encyclopedia Online. 1956. Web. 23 Apr 2019. http://gameo.org/index.php?title=Goshen_Biblical_Seminary_(Goshen,_Indiana,_USA)&oldid=163786. Bender, Harold S. (1956). Goshen Biblical Seminary (Goshen, Indiana, USA). Global Anabaptist Mennonite Encyclopedia Online. Retrieved 23 April 2019, from http://gameo.org/index.php?title=Goshen_Biblical_Seminary_(Goshen,_Indiana,_USA)&oldid=163786. Adapted by permission of Herald Press, Harrisonburg, Virginia, from Mennonite Encyclopedia, Vol. 2, p. 549. All rights reserved. This page was last modified on 2 April 2019, at 20:09.